Ideas include encouraging more overnight stays in the National Park by developing new visitor facilities and new camping and touring pitches. Another is to allocate brownfield sites near Grassington and Sedbergh to develop new business uses while a third is to review quarrying in the National Park. 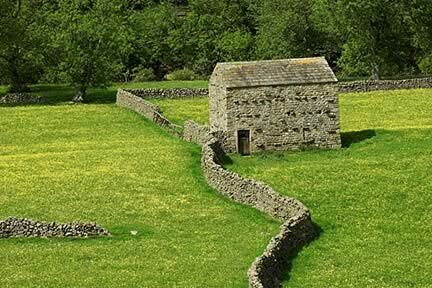 The options are the latest phase of the Yorkshire Dales National Park Authority’s (YDNPA) drive to create a new Local Plan for 2015 to 2030. Last year the public was asked to have a say in the creation of a new, five-year National Park Management Plan that sets out how the National Park should be looked after in the future. It was produced by a partnership of 15 organisations, including district and county councils, the Environment Agency, the Yorkshire Dales National Park Authority and Natural England, as well as groups like the Dales Farmer Network. Following a huge response to the consultation, the Management Plan was launched earlier this year and the objectives in it that are related to development will be delivered through the Local Plan. Peter Stockton, the Authority’s Head of Sustainable Development, said: “Last year we asked people what they wanted to see in terms of planning priorities and they came back with a number of different ideas. These included increasing the re-use of traditional farm buildings and supporting high speed broadband. “We have looked at these and other issues, and the options that are finally selected at the end of this consultation process will form the basis for detailed local planning policy. The consultation period will end on October 29. A draft Local Plan will then be produced for further public consultation next year. A final submission version of the Plan will be sent to Communities and Local Government Secretary Eric Pickles for approval in 2015.